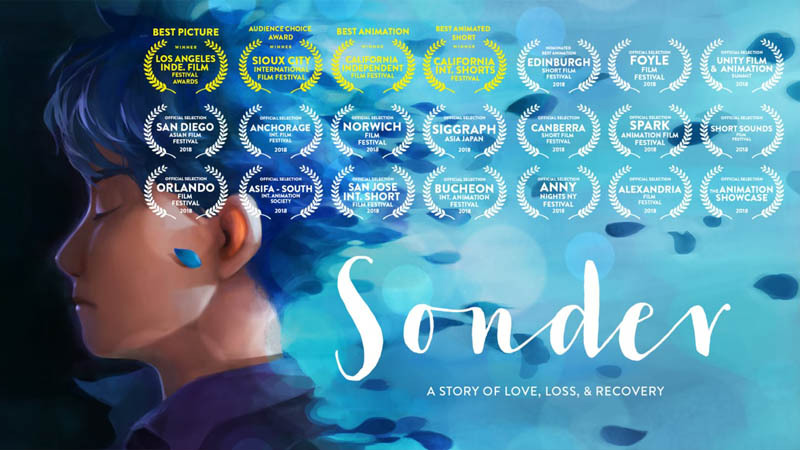 Sonder is an animated short film that explores the intensity and range of emotions following the end of a relationship. For years, Finn and Natalie walked the same path. But when their time together comes to an end, Finn finds himself lost in a mysterious land. Paralyzed by the fear of moving on, he is at risk of losing himself. Through self-discovery, Finn must gather the strength to forge a new way forward.